NOTE: Due to a supply shortage, a complete system with SnapNRack mounting hardware/racking and inverter is required to purchase these panels. REC was founded in 1996, and has since become a leading global provider of solar energy solutions. At the end of 2015, REC had produced around 20 million solar panels amounting to more than 5 GW of clean energy. That's enough to power almost 8 million people at home. Solar is our focus and we do it exceptionally well. With initiatives such as in-depth industry and market studies, combined with strategies that support sustainable business growth, it's no wonder that REC is widely regarded as a thought leader in the solar industry. 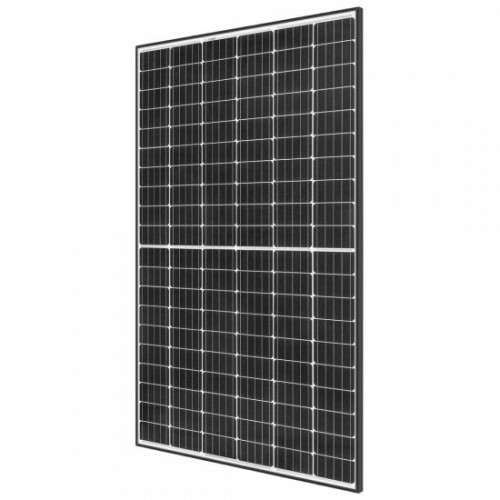 REC TwinPeak 2 Mono REC315TP2M solar panels feature an innovative design with high panel efficiency and power output, enabling customers to get the most out of the space used for the installation. Combined with industry-leading product quality and the reliability of a strong and established European brand, REC TwinPeak 2 Mono panels are ideal for residential and commercial rooftops worldwide. Based on the multiple award-winning REC TwinPeak technology, REC TwinPeak 2 Mono panels bring heightened efficiency to REC's portfolio. Building on REC's long experience with half-cut cell technology, the REC TwinPeak 2 Mono Series uses p-type monocrystalline PERC cells, offering an even greater efficiency and power, making this Series suitable for all applications and system sizes, anywhere in the world! The innovative design of REC TwinPeak Series solar modules offers customers a number of significant improvements over standard 60-cell panels. Through intelligent system layout, customers can benefit from increased energy yield, even when the installation is affected by shade at certain times of the day or year, enabling continued production in shaded conditions long after other modules have ceased generation. The most obvious difference in the REC TwinPeak Series compared to a standard solar panel is the cell design. The new panel is based on standard sized cells of 156mm x 156mm that have been cut into two equally sized pieces (156 x 78 mm), to give 120 half-cut cells. The panel is then split into two ‘twin' sections of 60 cells each, connected in series, in three strings. The two sections are then connected in parallel in the center to give a panel of 120 cells. This new design and layout is supplemented by a collection of other enablers such as PERC (Passivated Emitter Rear Cell, also known as Backside Passivation),four bus bars and split junction box design. This helps to lower energy bills and shorten the payback time through increased yield and lower costs. Combine this with industry-leading product quality and reliability of a strong and established European brand and the REC TwinPeak BLK panels are ideal for any residential or commercial rooftop installation. More Power Output per M2 - REC TwinPeak 2 Mono panels are packed with the same advanced REC TwinPeak technologies that have won REC multiple awards. This p-type mono variant offers higher power output per square meter of panels installed. Compared to standard 60-cell panels on a multicrystalline (poly) platform, you get at least 25 Wp more per panel! NEW! 20 Year Product Warranty - Promises that the workmanship and materials of the panels themselves maintain their superior quality for 20 years – double the old product warranty duration.